The UK is failing to uphold the rights of its disabled citizens, according to the United Nations. It's more important than ever that we work towards better outcomes in education. According to the government, the UK is a ‘world leader in disability issues’. But its efforts to uphold the rights of disabled people – in areas ranging from work, health and education to housing, transport and social security – have recently come under scrutiny. The United Nations' Committee on the Rights of Persons with Disabilities recently carried out an inquiry into the UK's legislation, policies and measures for disability. The report of the committee amounts to a damning indictment of the country's provision. Of specific interest for education professionals are highlights from the press conference held by the committee. the UK’s failure to address the prevalence of disablist bullying is also a major concern. This calls into question the government’s record in upholding the rights of disabled people. Incidentally, the various deaf and disabled people’s organisations (DDPOs) were hailed as genuine ‘world leaders’ for their efforts to bring these injustices and human rights violations to light. 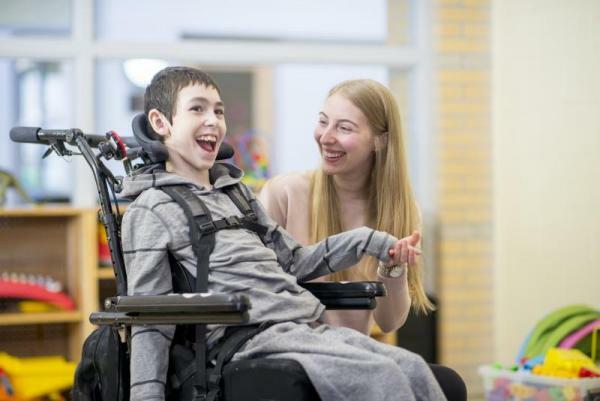 While this is a very dark day for equality and human rights in the UK, it may not be too surprising for the many parents, carers and SENCOs who have fought hard to support disabled children in an increasingly complex school population. Six years ago, I asked if it were possible to be an inclusive SENCO. In light of the UN’s judgement, inclusion might appear an even greater challenge than it was back then. My older posts are still worth a read today, as the challenge of supporting pupils with complex needs is still one a SENCO must meet. There are now more children and young people with complex learning difficulties and disabilities (CLDD) in our schools. This is a group that grew considerably over the first decade of the 21st century, in part due to advances in modern medicine (for example, children born at a very low weight due to extreme prematurity). There are also societal factors at play, particularly in the UK and Australia. Sustainable learning can occur only when there is meaningful engagement. The process of engagement is a journey which connects a child and their environment (including people, ideas, materials and concepts) to enable learning and achievement (Carpenter et al., 2011). We have recently emphasised the power of co-production and productive partnerships. With more complex learners in mainstream schools, fewer places available in special schools and the altogether abhorrent outcomes some disabled children and their families have to face, it’s an approach we cannot emphasise enough. The sobering vision depicted in the UN’s report needn’t be our reality. When training new SENCOs and supporting schools, I always point out that no one can ‘save the world’ on their own. In fact, trying to take on too much may well result in you becoming unable to support anyone at all. It’s important to be clear on what influence we have in securing the best outcomes for individuals. 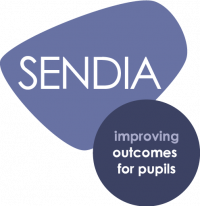 My three-stage improvement model for SEND will help you take a whole-school approach to securing better outcomes for learners, especially those who with more complex needs. Along with parents, carers and consultants, the FASD Trust is an excellent source of advice. With the spotlight on wider discrimination issues in the UK, we can hope to see improvements in the capacity we have to support the education of children with SEND. However challenging things may become, let’s not forget the power of co-production and collaboration. Positive engagement with families can make an immeasurable difference. I am certain that together we are stronger! Over the next few weeks, I will discuss some ideas I have to support better provision for pupils’ needs, and better life chances as a result. Our film, 'Challenging disablist bullying in schools’ (co-produced with the Anti-Bullying Alliance and World of Inclusion) and disability language support sheet are good starting points for challenging discriminatory language. Carpenter, B., Egerton, J., Brooks, T., Cockbill, B., Fotheringham, J. and Rawson, H. (2011) The Complex Learning Difficulties and Disabilities Research Project: Developing meaningful pathways to personalised learning (final report). London: Specialist Schools and Academies Trust. Morewood, G. D., 'Is the "Inclusive SENCo" still a possibility? A personal perspective', Support for Learning 27/2 (2012), pp. 73-76. Learning support for children and teenagers born premature – What are their needs?